Just before dumping into the Connecticut River, the Stevens River cascades 60 feet in one final magnificent display. A local resident owns the property in front of the waterfall, which must be a real treat for them. 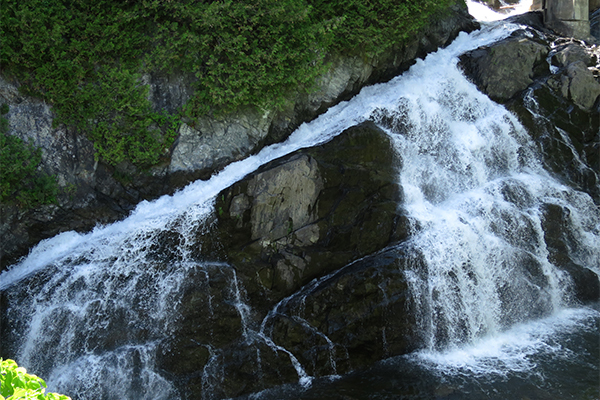 Unfortunately for us waterfall chasers, this means that views are limited to roadside only. Perhaps one day the town of Barnet will acquire the property and create a lovely small park. As it currently stands, you should visit now expecting only to view it from the road; it is still a beautiful sight regardless. 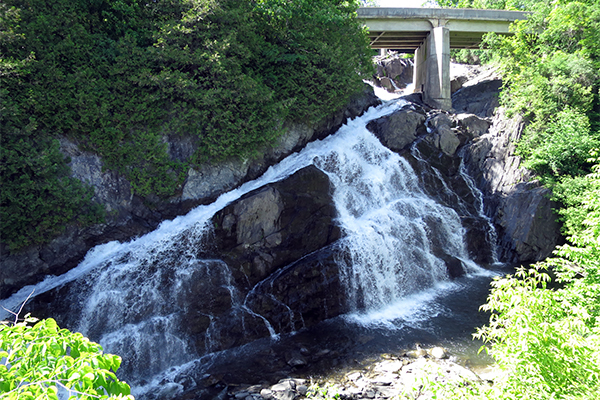 The views from roadside will have to suffice for this waterfall, as the falls are seen across a parcel of private property. From I-91 in Barnet, take exit 18. Follow Brimson Rd east for 0.6 mile while following signs towards US-5. When you reach a T-junction, take a left onto US-5 north. Travel on US-5 north for 0.5 mile and take a sharp right turn onto Mill Hill Rd. The falls are right around the corner on the right within a residential area. Park off to the side of Mill Hill Rd. To get to Barnet, take I-91 south from St. Johnsbury or I-91 north from White River Junction.